Stay this May & receive 20% off! Stay in June and get 10% off & free pool heat! Imagine a vacation home with a dream location of less than 12 minutes to Disney World, stunning PGA golf course views, and a magical themed bedroom that will take your children on an exotic train ride where their imagination can run wild! A rental home like this does exist in the heart of Orlando at the Reunion Resort and Spa. Modern furnishings, a floating staircase, and a classical piano, makes this art décor home both elegant and sophisticated from the foyer to the third-floor terrace. 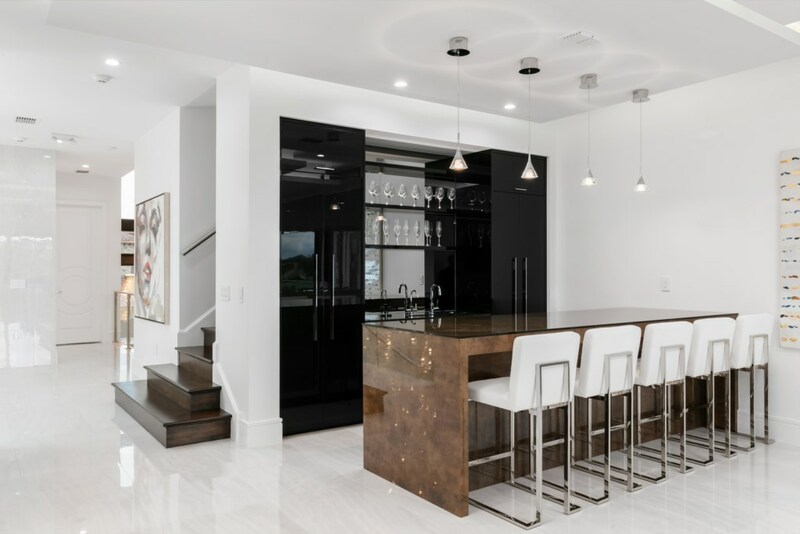 The spacious living area also features a sleek fireplace, perfect for late evening of relaxation and a SONOS sound system to play music from any room in the house via the Control 4 tablet. 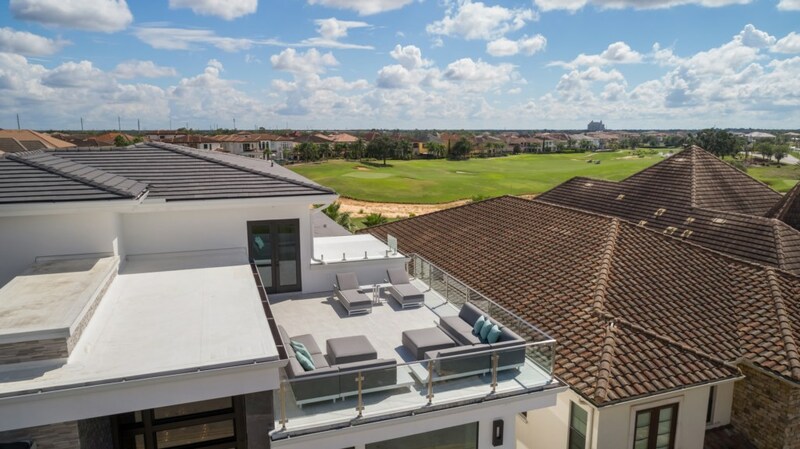 You and your family can soak up the warm Florida weather and sunshine with a South-East facing infinity pool and spa overlooking the Nicklaus PGA golf course. The outdoor firepit, pool bar, and water features in the swimming pool are added bonuses for all your outdoor entertainment needs. Disney World fireworks can also be viewed on some nights on the third-floor balcony with comfortable seating all around. 8 luxurious bedrooms are provided in this home, each with en suite bathrooms as well as three themed children’s bedrooms including a Disney princess, a magical train ride with four bunk beds located inside the train to add charm to the experience, and the state of New York. The fun begins for the young and the young at heart when you enter this home and experience the Magical setting. 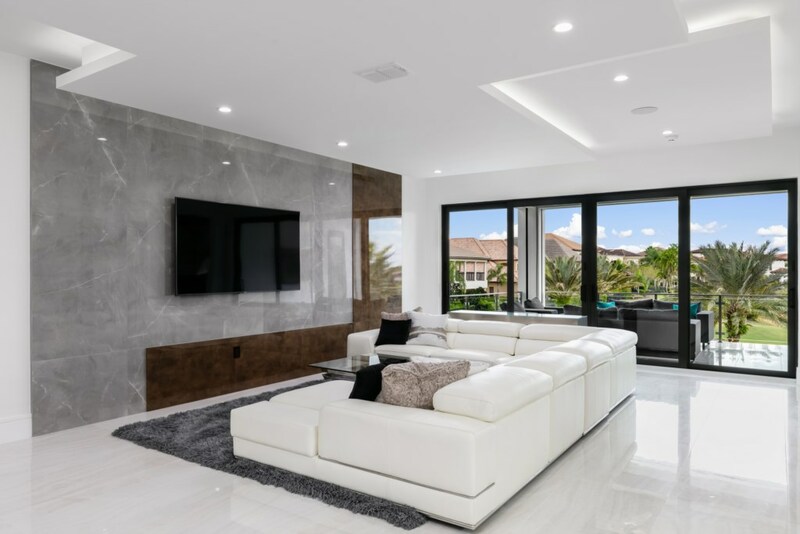 This home also offers a superhero themed games room equipped with an air hockey table, multi-arcade video games, a racing car and golf video game, so the Orlando theme parks are not the only means of entertainment when you reserve this mansion. There is also a gym with a treadmill and a multi-purpose weight machine to burn off all the sweet treats you devour on vacation as well as home theater with cinema seats and a large projection screen to watch your favorite movie on. 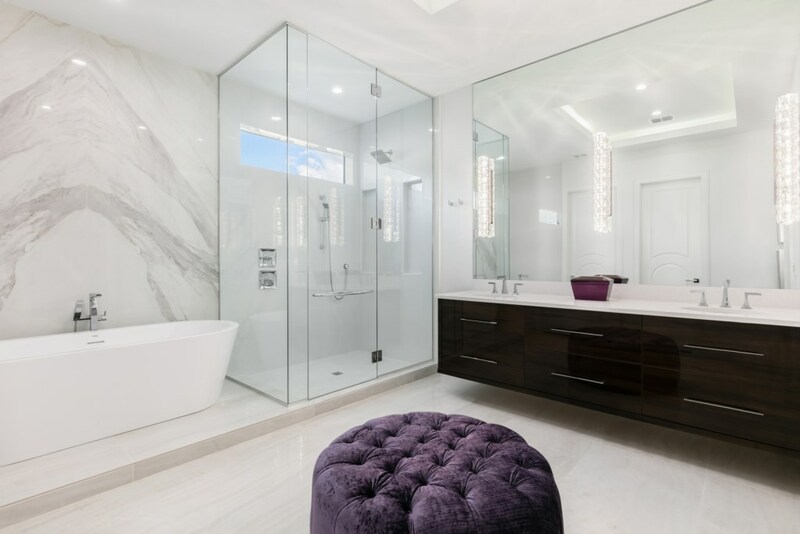 This Reunion Resort mansion is ideal for your next family vacation with 8 stunning bedrooms including a magical children’s bedroom, multiple entertainment options such as a home theater and games room, and an amazing infinity pool and spa overlooking the PGA golf course.